As an hobbyist or someone who likes to get his hands dirty with electronics , having the right tools is very important for your safety. One of such tools is a “Multimeter” which is very helpful for diagnosing electronics to ensure they are functioning properly. The ideal Multimeter for a hobbyist is one that is not only simple to use but also cost effective and gets the job done. Our guide below highlights the 7 best multimeter for electronics hobbyist. Innova 3320 is a UL certified multimeter that can accurately troubleshoot automotive and electrical problems. This multimeter can be used to measure voltage, current, and resistance. You can also use it to check for open currents without visualizing the wires. The selling point of this product is its auto-ranging scales which eliminates the need to input the correct scales when making electronic measurements. This feature is particularly helpful in situations when you’re not sure of the exact scales needed to make a particular measurement. Another solid offering of the 3320 multimeter is its battery test feature. It might seem useless at first but you would realize how helpful it is when working with batteries. A Green indicator simply means the battery is in good health and can still be used. A Yellow indicator means the battery is low and should be replaced. A Red indicator means the battery’s power is extremely low and should not be used further. In conclusion , the Innova 3320 is the best multimeter for electronics hobbyist. The only complain we got is that the continuity beep is sometimes slow to respond. The user has to wait a few seconds to hear a beep after the leads are held together. AstroAI is a very popular multimeter in the DIY community mainly for its cost effectiveness. 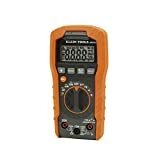 This product gets the job done for half the price of other multimeters in the budget category , hence , it is a solid choice for those on a budget. This multimeter can be used to safely and accurately troubleshoot automotive and electrical problems. There is little to no learning curve as this product is easy to use and performs similar functions as other multimeters , so a basic knowledge of how a multimeter works is enough to get you started. The small LCD screen displays test scores and is equipped with back light for better visibility in low light conditions. With the AstroAI , you can easily measure the Voltage, DC current, resistance, diode, continuity ; however , the manufacturer warns that this product cannot be used to AC current and AC voltage like the voltage of RECEPTACLE WHEN the dial is located in the DC current range. Conclusively , with over 76% 5-star ratings , AstroAI is one of the best options for those on a budget. Klein tools MM400 is a solid , rugged looking multimeter for the average home DIY’er. It is one of the most durable multimeters on the market. This product is built to withstand wear and tear as well as accidental drop up to 3.3 foot high. 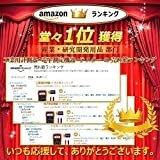 For the price , this tool is perfect for basic functions such as checking if a battery is dead , if an outlet is live or if a switch still works. It can be used to measure up to 600V AC/DC voltage, 10A AC/DC current and 40 MΩ resistance. It can also be used by HVAC technicians to measure temperature, capacitance, frequency and duty-cycle. The LCD display with back light performs well even in low lit environment and the battery indicator tells whether or not a battery needs to be replaced. In conclusion , the Klein tools MM400 is a reliable tool for beginners and HVAC technicians. With over 1,500 reviews and 70% positive ratings , Etekcity’s MSR-R500 is a cheap but reliable digital multimeter that will help beginners troubleshoot automotive and household electrical issues. It is a basic tool that has the ability to measure current , voltage , resistance and continuity ; giving you the accurate results you need. This multimeter is easy to use. It is small , portable and has a large back lit LCD display which shows you the result of each test ; and is visible even in dimly lit areas. Despite being affordable , the Etekcity MSR-R500 multimeter still takes safety seriously. It comes with safety features such as a low battery indicator , removable test lead extension caps , overload protection , and a rubber sleeve which protects it from any damage. Overall , the MSR-R500 is a digital multimeter that gets the job done. It is an ideal scanner for occasional use by DIYers and hobbyist but experienced electricians may want to try something else. Neoteck’s 8233D is another product worth mentioning on the list of best hobbyist multimeter. One thing people love about this product is that it comes with a Banana Plug to Alligator Clip Cable out of the box , something you wouldn’t get from other multimeters. Another thing they love is its precision. It is very accurate in measuring Current, Voltage, Resistance , and just like our #1 pick (Innova 3320) , Neoteck 8233D has auto-ranging scales which is helpful for inputting the correct scales for measurement. It is designed to safely troubleshoot automotive and electrical appliances. The result of each test is displayed on a large LCD display that is easy to read and has back-light for better visibility in low-lit environments. If you’re someone who cares about safety , it would interest you to know that this multimeter has Over load protection which prevents damage to the multimeter due to overload. The exterior is also prevented from accidental drop damage by a non-slip , soft plastic that looks rugged but very comfortable on hands. Overall , the Neoteck is a very solid multimeter for DIY. The only complain we got is that the “hold” button is a little sensitive and it sometimes double-presses. We’re not sure if it is a general issue or just peculiar to this unit , but it is something to be on the lookout for. Crenova might not be a popular brand in the multimeter world but they have a solid product in the MS82333D. With over 71% 5-star ratings , this multimeter is loved for its simplicity and cost effectiveness. You can rely on it to accurately measure AC/DC voltage, AC/DC current, resistance, frequency, continuity, and diode. It is a simple tool for hobbyists hence not much is expected in terms of functions , however , it comes with all the goodies you would expected from a basic multimeter such as LCD display , overload protection as well as a sturdy body to prevent damage from drop. The 3 and half inch LCD display is tasked with showing the readings of each test and it has a back light for better visibility in low lit environments. Should you purchase this product , Crenova warns the 9V battery that comes with the multimeter should be installed before use to prevent any possible damage. 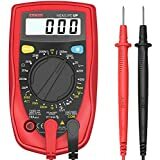 In conclusion , the Crenova MS8233D is a simple tool that is loved by many and is worth mentioning on our list of best multimeter for electronics hobbyist. 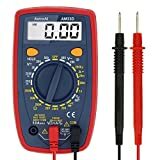 With over 65 years industry experience , Amprobe is trusted by professional electricians and technicians , and have built some of the best multimeters on the market. The Amprobe AM-510 is one of their top sellers and a perfect example of what they offer. The AM-510 is a digital multimeter that is used by DIY hobbyists as well as experienced electrical technicians. 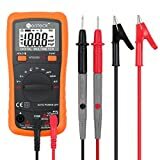 This multimeter can perform basic functions such as measure voltage , current and resistance , as well as advanced applications such as rewiring an electrical panel, installing heated floors and light fixtures, troubleshooting and repairing home appliances. One of the stand out features is the non-contact voltage detection which uses a built-in flashlight to see wires and fuses in the dark, as well as a rubber tilt stand and probe holder for hands-free measurements when needed. Some users complained the Min/Max feature forces meter into manual range which as a result forces the minimum and maximum values to be in that range. Users also found it difficult to use the NCV feature especially when using it on outlets. Overall , the AM-510 is highly rated for its durability and the quality it offers at an affordable price. There are many more options on the market when it comes to multimeter for hobbyist and DIY. Each product has its own uniqueness , however , we believe our recommendations are more than capable for a beginner or a hobbyists. Whether it is just to perform battery , AC/DC voltage test or Resistance test , you can rely on any of the aforementioned tools to get the job done. For advanced diagnostics on vehicles , we recommend the use of an obd2 scanner to fix basic errors , or an advanced professional diagnostic scanner for analysis beyond the scope of an obd2 scanner.